As our time was coming to an end, we felt that we had more we wanted to give. The weekend before our last Sunday in Manta, we planned out a weekend called, “Corazon Abierto” or translated to be “Open Heart”. We each wanted to open up our hearts and share one last time before we left. But not just something from each of us… something that God had marked into our hearts to share with the people that we met and walked with to live for Christ. We each spent time to pray about what God wanted us to share. When we all came together to organize our topics, it was seriously perfect! God definitely had his hand in this amazing event! 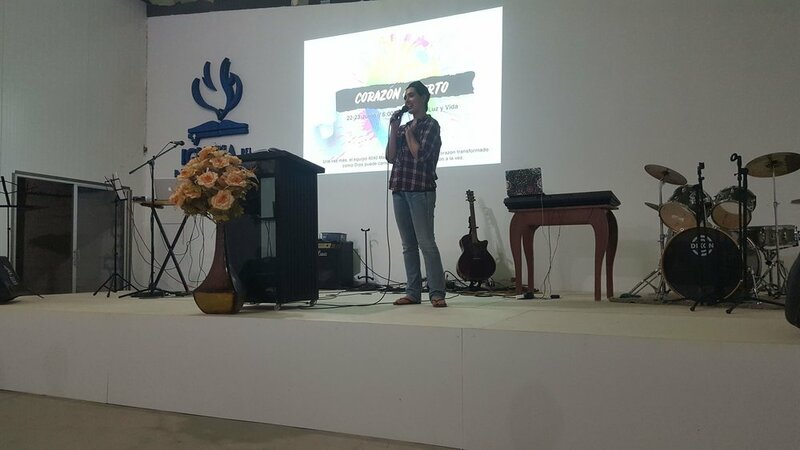 We scheduled for Friday and Saturday from 6-9pm and started with worship. 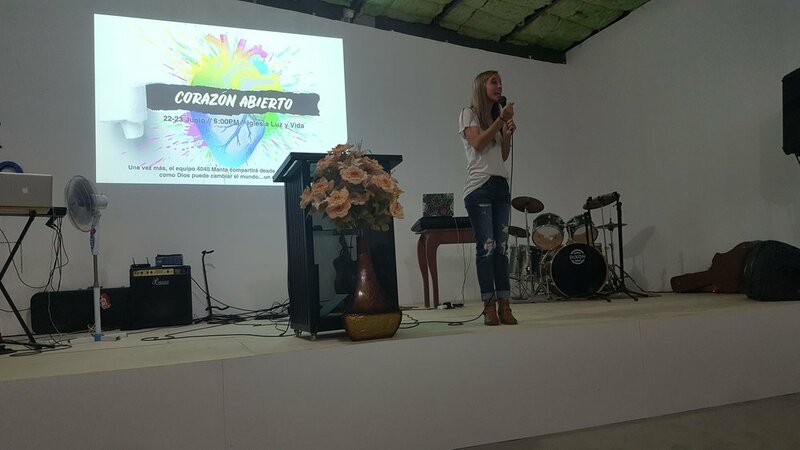 At this point, we had already trained a worship team with the people from Manta - however, we wanted them to be able to participate in worship so that they could open their hearts and be ready for how the Lord was going to speak to them. AND BOY DID GOD SPEAK! It was such a beautiful time! We each were allotted 20 minutes (although I think ALL of us went way over that). He even ministered to me through my other teammates. It was so powerful and sharing the last thing on our hearts was the best way for us to end our time there! I would love for you to see pictures below of each team member as well as their topic! These themes were God inspired! Our MC for the event!